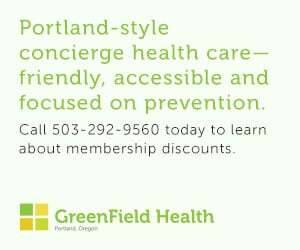 Thursday’s passage of the Central City in Motion plan will be remembered as a crucial moment in Portland’s history. I was sitting in the back of council chambers on Thursday with Ryan Hashagen from Better Block and during the testimony we both reflected on the passage of the Portland Bicycle Master Plan eight years ago. In 2010, I was fresh out of college and having given up on finding a job had started interning at PBOT. On the day of the passage I wore a shirt with a bicycle and the words “revolutionary” under it, which a PBOT employee told me to change for fear of setting the wrong optics. His concern reflected how anxious PBOT was about the plan and what council would say about it. After the 5-0 vote it was like someone had won the lottery. The mood throughout the office was elated. You couldn’t walk down the hall without a high five. The Bicycle Master Plan was important not just for the policy it created but how it raised the morale of the many people working within PBOT to achieve that same goal. The passage of the Central City in Motion plan feels just as good — and it comes with the emergence of a new champion for transportation reform. The long halls of Portland’s bureaucracy can be isolating and complex. Bureaucracy does not embrace change. That is why it is so important to have elected officials in city government who are advocates for change. On Thursday, Commissioner Chloe Eudaly very clearly said that we need to change how our streets are designed so more people can walk, take transit, and ride a bike. In her remarks before the vote, Commissioner Eudaly thanked walking and cycling advocates before giving the most eloquent, truthful, forceful, and thoughtful speeches on transportation I have ever heard. If that wasn’t enough I nearly fell out of my seat in excitement when she started talking about critical mass. She quoted the “We are the streets” motto and ended my saying her motto towards single occupancy drivers who complain about congestion is, “you are the congestion”. She closed by saying how it is imperative for climate change, public health and safety, equity, and collective quality of life that we make improvements for biking and walking. 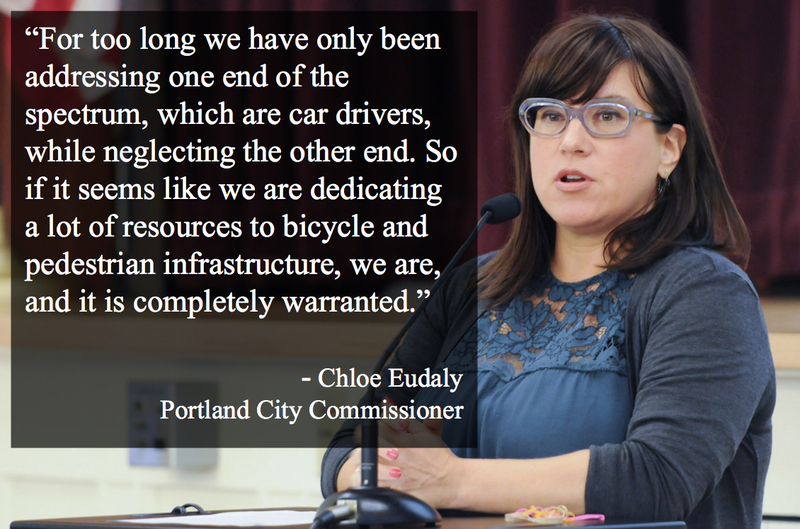 Since the passage of the Bicycle Master Plan, Portland has been waiting for a leader to embrace the goals and values in that plan. If Commissioner Eudaly continues the tone she set on Thursday she will be remembered as one of Portland’s greatest public servants. If anything I feel PBOT has failed to sell the Central City in Motion plan. Once all these projects are built it will fundamentally change how people think about getting around in the central city. Thank you for your leadership Commissioner Eudaly. Portland’s transportation advocates heard you last week and we are ready to spend our time and passion to turn the vision you laid out into reality. And to the PBOT employees sitting in your cubicle: Get to work, we finally have a commissioner who is ready to lead. The post Guest opinion: Central City in Motion passage a historic moment for Portland appeared first on BikePortland.org.